We summarized the user’s experiences, expert’s reviews and from our forum members to make it easy for you to pick a set of Sony earbuds of your needs – Indeed they are going to fit your taste of music and lifestyle. Not all Sony earbuds–Aural headphones are well-known, since some of them missed to deliver what critics consider to be high-fidelity. Here we’ve rounded up Top 10 Best Sony Earbuds in 2018 and Guide how to Choose the Perfect Pair of Sony Earbuds. Sony earbuds has been made all better, as they are more comfortable to wear, lighter, supposedly smarter and have exceptionally higher-sound quality. They offer various earbuds that fit to your lifestyle, from active personalities to audiophiles. Sony may be no longer the most popular headphone brand, but their distinct design and exceptional sound quality still persist and if it is time to you to buy a new pair of earbuds, you always find one that fit your taste of music and style. Sony’s audiophile graded level in ear headphone with four BA drivers. If you can afford XBA-4, here is an alternative. The Bluetooth earbuds that sound good and fit securely. They are also sweatproof and has long lasting battery life. Bluetooth connection is sometimes cut off. Budget wire Sony earbuds for sports. If you need to cancel out the noise. The best build quality and audio performance come with an expensive price tag, the of SONY’s XBA-4 are pretty good at noise isolating and has the best quality ever in Balanced Armature Driver earbud class for under $200. You may know the BA earbuds will deliver more detailed and clear sound than Dynamic Driver earbuds, but this pair doesn’t lose the disadvantage of BA. Built with Quad-drivers on earch earpieces they even perform better sound, feel wider layers and much more clarity. Note that other XBA models, including XBA-1, XBA-2, and XBA-3 integrated one, two, and 3 BA drivers in each earbuds housing, respectively. The XBA-H1 sounds fanstatic overall. I felt the sound stage is wide, the detail is enhanced on every single moment I listen to my favorite guitar tracks. For the clarity is fortified and it is quite insane that all the sound is polished and hit the notes that I’ve heard from other earbuds with the same price range. 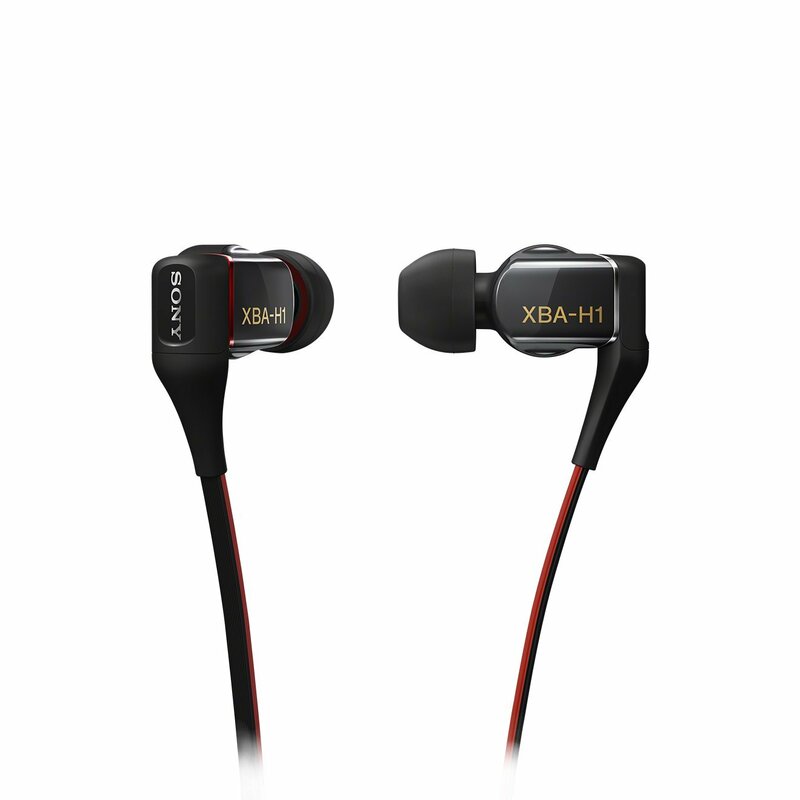 The XBA-H1 does sound good for all kinds of music genres, hip-hop, dance, electronics, pop, jazz. Unlike other earbuds that seems to be picky for musice genres – they are good for bass music or dance music for example, the H1’s sound is accurate and for many tracks I pump in, I still feel them interesting to listen. Since the H1 are audiophile grade earbuds, they are the most secure fit earbuds we’ve tested and they are not as comfortable as some sports earbuds with wingtips, but they do isolate noise well. The Sony MDR-XB50AP is a well-built, bass enhanced earbud headphone. They are not the most comfortable Sony earbuds and without earhooks or wingtips they are designed not for sports. The sounding profile of Sony MDR-XB50AP tends to be bassy. The bass is well extended but isn’t very crips, making the sound feel bloating a bit and the treble become lack in detail and clarity. While the mid-range maintains calm and present. If you need a pair of Sony earbuds for sports, the MDR-XB50BS would be a nice choice for its affordable price, sweat-resistant feature and decent sound. Most importantly they fit securely and provide good noise isolation. The bass of MDR-XB50BS is decent, which is quite punchy and slightly crisp. And I could say it has a strong bass perfromance. Though the overall sound is not very detailed and clear, but for dance or hip-hop music, the MDR-XB50BS should fit the right quality department. Battery life is rated at 8.5 hours and Bluetooth connection is stable within 30 feet. The WI-1000X is an around the neck Bluetooth headphones, feel solid with leather padding, the collar is comfortable to wear. If you are a frequent traveller you would appreciate 10 hours of use with noise-cancellation and the impressive noise cancelling performance of WI-1000X. We compared this pair’s NC performance to wired Bose QC20, and it fall short for actively drowning out the noise. The mic is noise cancelling and the call quality is good. Sony WF-1000X is free-cable earphones. They also fit and perform well as a noise canceller. And for this type of headphones, the Sony WF-1000X’s sound quality best other competitors like Airpods, Gear IconX, Bose Soundsport Free or Jabra Elite Sport. But the earbuds look quite bulky and sturdy. This pair generally sounds good for all kind of music. Other cheap sets or included earbuds with your phones fail to deliver along with details. The Sony MDR-EX37B has nearly identical sound to Panasonic RP-TCM125 Ergo Fit that is one of the best cheap earbuds availalbe (thewirecutter reviewed), but this Sony earbuds won’t feature an inline remote and mic to pick up the call and navigate tracks. SONY MDR-EX650 truly makes you feel strong bass and clarity treble. The Y- twist cord is very durable, and folks still complain about cable knotting and earbuds that are easy to break. It is not a worry for this Sony in-ear headphones. The unique shape metal body brings about a elegant and stylish look to the earbuds. Finally, both the affordable price and sound quality will satisty to music lovers. Swimmers can enjoy music experience under-water with Waterproof Sony Walkman NWZW274S , you dont’ need to connect it wirelessly to your devices to stream music since it’s adready been integrated with 4Gb-storage Mp3 player. Other wireless option try Sony SBH 80 with 8 hours of battery. It’s designed with a neckband and integrated battery. The sound quality is decent, and the quality of the call is just great. The SBH bluetooth earbuds are made for sports and casual office users. The Balanced Sound Sony MH1C Earbuds (Discontinued)–This smart headset is connected to The Smart Connect App. Sony MH1C featuring the control buttons and mics is compatible with both Android and iOS devices. Except that the flat cable to prevent tangles somehow look un-pleasant to eyes, generally the design is pretty good. Since Sony MH1C is well balanced and warm, so you will probably find acoustic music of all genres. While treble is not extremely crisp and remarkable with detail, the bass plays its role and midrange remains the layer for nice and sweet sound. Clip, hook or neckband. The wired sony earbuds normally cost less than $50 for sports such as MDR-AS41EX with an adjustable hanger. Make your workout easy and relaxed with music. Active noise cancelling earbuds, Sony MDRNC13 doesn’t work perfectly, but with long battery life and decent ANC function that definitely can shut you away from the noisy world. It certainly is the on-flight item of every frequent flyer. Beat by Dr’s success with Beat headphones along with pop culture prove that people love to hear the powerful bass in their favorite music genres like R&B, Dance…The SONY MDR-XB90EX is not exceptional, and it has been one of the best engineered Sony earbuds so far. Not just the powerful bass the MDR-XB90EX packs with clear treble and details. They does isolate noise and the ergonomic look makes these earbuds standing out among other customized for bass enhancement. It doesn’t seem that you can use it for excercise. The SONY MDR-XB90EX looks quite sturdy since it hosts 16mm Dynamic driver to maximize the bass performance. Sony MDRXB50AP is an alternative if you are on the budget – this pair is still rated for strong bass sound signtuare but the bass impact and depth is just average. Your listening experience is varied along with your prefered music genres. After all, we consider the sound quality, purposes, built-in quality, and design of the top audio manufacturers including: Panasonic, Sony, Bose, Klipsch to pick up the best earbuds. We also keep up with any trend and new tech in any of these manufacturers to help providing you the general stage and knowledge about what’s more from earbuds-in ear headphones. Sony is always the leading company in audio industry and you see most headphones out there with Sony label. They recently have introduced the High-resolution audio to complement what they missed to deliver earlier. This will give users richer experience in music. If you’ve not yet to become a fan of Sony brand, it’s probably quite hard for you to find the earbud for you to fall in love with. They may not all be sleek, but they throw in treble, bass and mid-tone detail varied from one model to another model. Sony is a very reliable Japanese company with long history in Audio and most of you probably knew the famous Walkman of Sony in the late 1979s (recently they’ve introduced Sony Walkman NW-ZX2, a premium high-res audio player). Sony made some of the most incredible earbuds and speakers. This company seems to offer everything for frequent music listeners: All the way from standard earbuds for casual listening to high-end earbuds. Dynamic, Balanced Armature Driver or their combination which one do you prefer? If you’ve been around with dynamic drivers, why don’t try Sony XBA-4 with BA drivers. Your lifestyle: what sport do you play daily, does your earbuds fit securely in your ears and do you hear the noise from cable’s bouncing while you warm up? even you fly into the pool, music is still alive with Sony’s waterproof earbuds. Sony earbuds offers a solution for everything. Sony earbuds hasn’t popped up with heart rate tracking feature yet, but you are expected to see them in the near future. Some manufacturers like LG, SMS Audio, Jabra have their very first versions of HRM earbuds. You are welcome, just watch the video, Interesting! SONY XBA-4 costs a lot, I knew Shure 425 with the same price,, but what actually Sony MDR-EX650 is lack of if compared to these high end models. I am not a huge fan of sony myself but these do sound promising. I haven’t owned any sony headphones or earbuds in a good 9 years! I bed they have changed a lot since then. I might have to reconsider and try some out. I will have to just dive in and order a few pairs and return the ones I don’t like. I was wondering if you could help me . I have listened to many headphones in the 200.00 and under price. I fell in love with mdr-ex310lp years ago. They eventually broke at the ” L shape” part of the cord. I replaced them with the mdr-ex310sl. Not sure if they were the replacements but the specs were the same ?? Now i’m looking for backups ( just in case) I can still get another sl but they are discontinued and almost gone. Reading on here i’m wondering if these 650’s are the replacement for the 310’s ? Is there another model in the Sony line that is close to the 310’s in sound and price ? Hi, Bigsled68, Unfortunately I haven’t tested EX310 out. Just In case I get it to try from my friends, then I can tell you. Sound quality of Sony is acceptable. These aren’t audiophile grade, obviously, but are just fine for casual use or working out. I haven’t reached the limits of the battery yet. Overall a solid buy from a name brand in this price range.